Lay back and get fit! 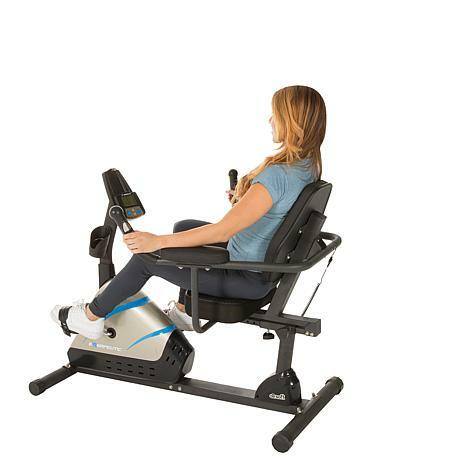 Getting your cardio in is comfy and convenient with this portable recumbent bike. 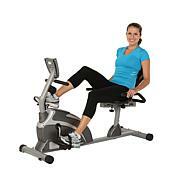 Ultra-plush seating and accessories provide maximum comfort so feeling the burn is easy and enjoyable. Product Weight: Approx. 63 lbs. 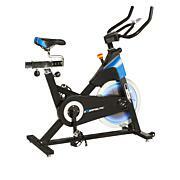 Extended user weight capacity up to 300 lbs. Easy and quick seat adjustments for users 5"3" to 6'3"
Thank you for the fast shipment. Came earlier the expected. 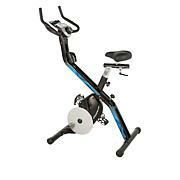 I purchased the bike because I have a son who has celebrar palsy and he is wheelchair bound. This has been helping him get his legs stronger to get the strength to one day walk. The seat is very comfortable for him to sit on. He is very excited and that's priceless. Thank you again. This arrived in a box with more than ninety(90) parts to put together!!!! Nowhere on the web site did I read that "any assembly" at all was required.So since I am old and do not want to spend a significant part of the rest of my life putting this together, I am boxing it up today to give to GoodWill. You could also mention on the website that it weighs 70 pounds. I threw away the box because it smelled so bad, so I really can't return it. I have been an HSN customer for over 20 years and a total loss such as this was is new for me. Let's hope it's a One and Only.